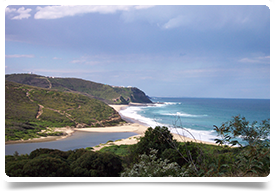 This client operates a group of medical centres in the Central Coast area of NSW. The clinics are all family owned and managed, there are over 20 GPs and 45 support staff in total across the sites. The owners have been practising as GPs in the area for almost years and are well known and respected by the medical community in the local area. There are nurse run clinics every day, plus full time nursing support. A fantastic opportunity for any UK trained GP looking to the make the move to Australia who wants to be close to all the action Sydney has to offer! Here you can enjoy the best of both worlds. Choose to live in this lovely area close to lakes and the coast or live in Sydney and make the easy commute, just a short drive up the freeway! The area is a major industrial and commercial area for the Central Coast, and has a large regional shopping centres, a number of good schools, healthcare facilities and recreational facilities.